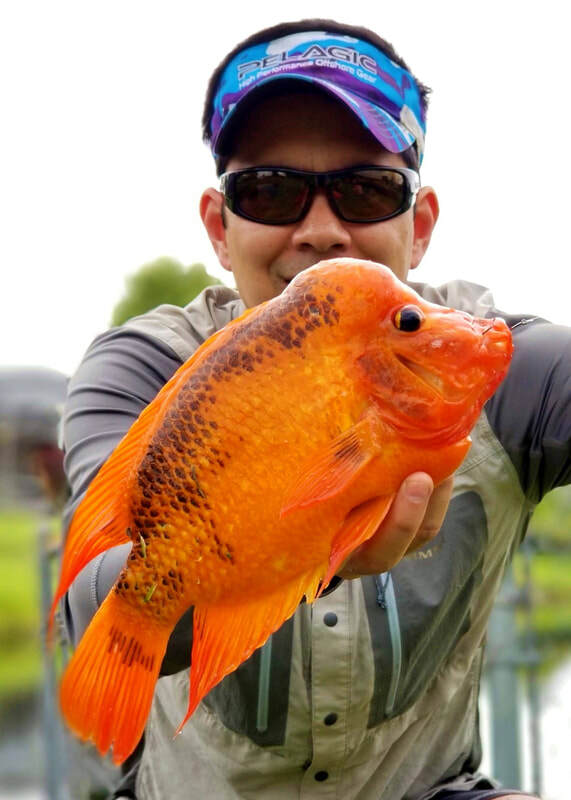 There are various Central American cichlids that can be caught in freshwater rivers and lakes on light tackle such as those pictured on this page. Some of the more common ones are the Blackbelt Cichlid (Vieja Maculicada), the Midas Cichlid (Amphilophus Citrinellus), and the Mayan Cichlid (Cichlasoma Urophthalmus). These are all referred to as "Mojarra" in Central America, so I will use that as a catchall term on this page for convenience. All three species, as well as many related ones, can be caught using most of the same methods. Mojarra fight decently for their size but do not get very big. They are found in rivers and lagoons throughout Central America and eat small fish, crustaceans, and insects when they are smaller similar to Panfish in the US. 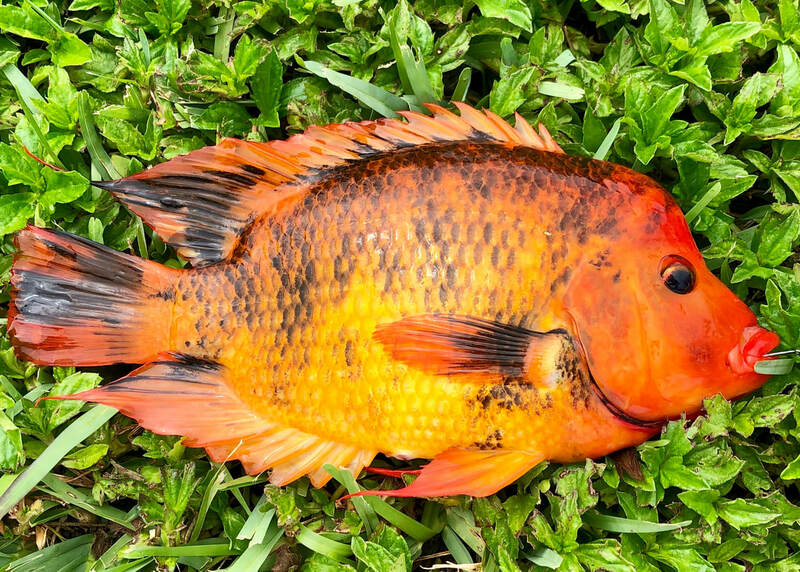 The Midas and Mayan Cichlids are also found in many waters in South Florida, where they have been introduced via the aquarium trade and have thrived. I'm sure there are some Blackbelts there too although I have not seen any. All Mojarras like to hide in vegetation and in and around submerged logs and other cover. Males of some species develop large spawning humps on their heads which add an interesting feature. Mojarras are popular aquarium fish but it can be tricky to manage their aggression as they get larger. I have tried it a couple of times and never been very successful at it. They are very tasty when cooked although you need to catch a larger one to make it worth the trouble. You should be able to catch pretty much any Mojarra on 2lb test line if they. You might go up to 4lb or 6lb if you are fishing heavy cover which is often the case. Make sure you use an appropriately small hook as even the large ones have small mouths. My ideal setup would be a Daiwa Certate spinning reel in the 1500 size and an ultra light spinning rod. Click here to go to read more about recommended tackle. Mojarra are most easily caught on bait but will often bite lures as well. The key is usually to have clear water. When the water gets cloudy it is very tough to get these things to bite. You are better off going in search of clearer water. They are a curious fish and will put things in their mouth just to check them out. Small crankbaits such as a floating Rapala will work. I like to cast it out next to some promising looking cover, let it sit for a while, and then give it a twitch to make it dive down a few inches and then float up again. It is very similar to working a topwater popper which will also work. They will also hit small crankbaits on a straight retrieve but in my experience the topwater twitch technique works better. Small rubber jigs work extremely well. Just suspend them in front of the Mojarra and twitch them and let them sink and they should get at least a curiosity bite. ​Lots of lures will work; the key is to downsize. Small freshwater shrimps work extremely well. Small minnows and worms work well also. These fish are fairly aggressive. These fish can all be caught with white bread. They can also be chummed with bread. The Parismina/Colorado river areas of Costa Rica have some big ones, as does Lake Nicaragua. Here in the US, there are many of them in South Florida, especially in the canals in Miami and the Everglades. There is very little information out there on the web about Mojarra. If you find a good resource, e-mail it to me and I can put it up. 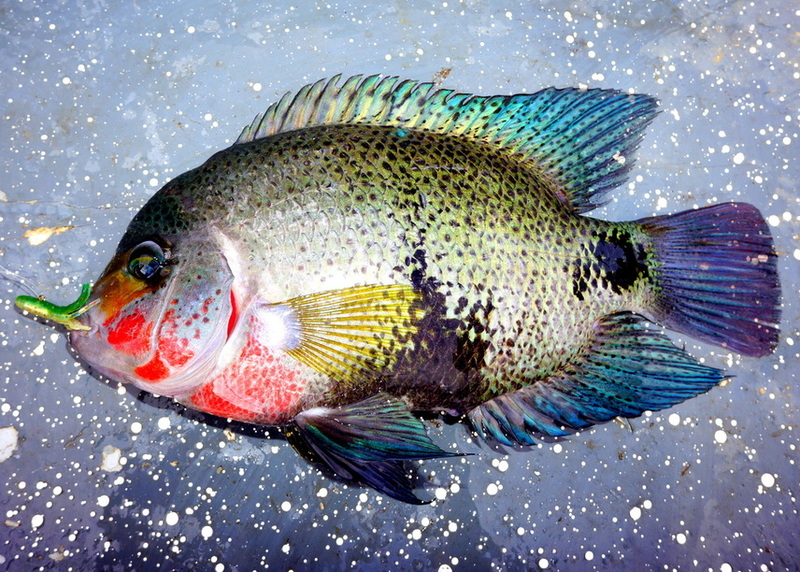 A Midas Cichlid with a nuchal hump caught on bread in Miami. 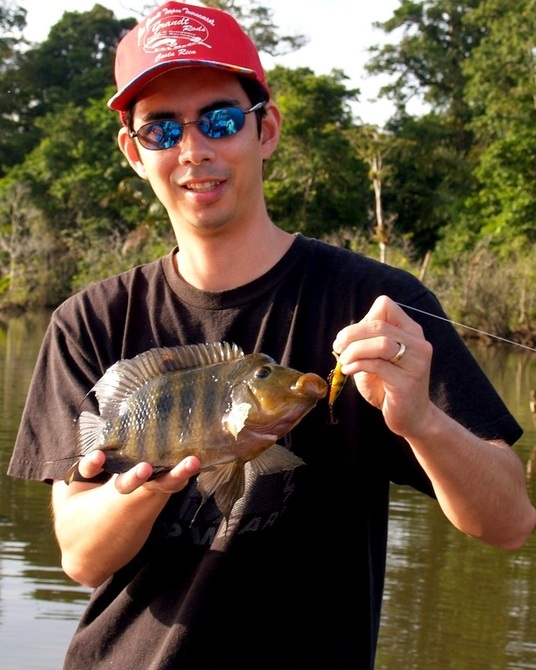 Blackbelt Cichlid caught on a floating Rapala in Rio Parismina, Costa Rica. Mayan Cichlid caught in Nicaragua on a mini jig. A black Midas caught in Miami.